Jan 24, 2017: Has anyone mounted a 55" KS8000 in use with PS4 Pro? Feb 02, 2017: Wall mount for 50 inch Vizio. 38 Lbs. Which one of these would you go with? 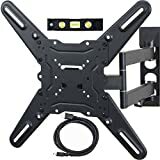 Aug 30, 2017: 55" / 60 Pound TV in a single wall stud telescoping mount? Feb 06, 2018: TV Wall Mount on a ~10 degree slanted wall? Feb 06, 2018: Finally got my 4k Dreamscreen Preorder in - for those of you wanting an easy to use, plug and play Ambilight TV addon for your current TV, this is a great choice! Feb 24, 2018: Help mounting Samsung 46in. Dec 05, 2018: (Insert large computer company) won't support my special request! Apr 15, 2019: Can I mount a 13lb TV on a swivel from one stud?